In 1962 during America’s Cold War era, Elisa (Sally Hawkins) works as a cleaner in a high-security government laboratory. Trapped in a life of isolation, Elisa’s world is changed forever when she and co-worker Zelda (Octavia Spencer) discover a classified government ‘asset’. 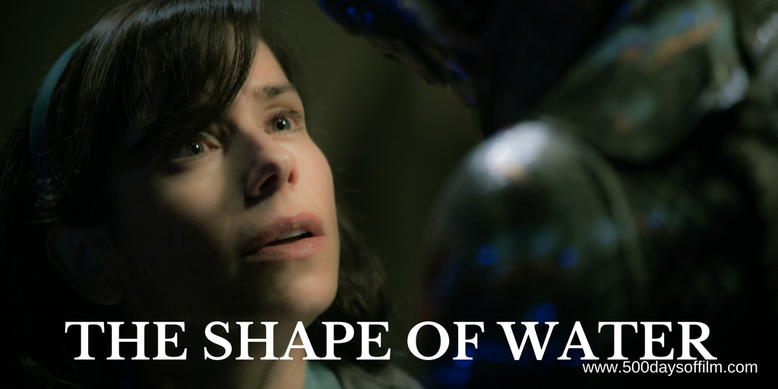 After nine films exploring loss and nostalgia, visionary filmmaker, Guillermo del Toro, ventures into life affirming territory in The Shape Of Water. Describing his movie as an act of exhalation, the director states that it is the first film of which he is 100% happy. It is not hard to understand why. The Shape Of Water is a perfect combination of cinematic storytelling, performance and design. As we have come to expect from del Toro’s work, nothing has been left to chance and everything is wholeheartedly and wonderfully strange. Inspired by 1954’s The Creature From The Black Lagoon, del Toro wrote the role of Elisa for Sally Hawkins. In return, she has delivered a beautiful and utterly breathtaking performance. Elisa is mute and empathises with the otherness of the amphibian creature trapped in the laboratory (superbly portrayed by Doug Jones). And so begins a story of beauty and the beast. However, we soon see that Elisa is no stereotypical princess and the beast is not about to change into a handsome prince. Del Toro is not interested in that type of story. He wants us to love and embrace ‘otherness’. After all love, like water, has no shape. Hawkins is joined by an impressive supporting cast. Each character is fully rounded - including Octavia Spencer’s warmly comedic Zelda, Michael Stuhlbarg’s mysterious scientist and Elisa’s dear friend and neighbour, Giles (wonderfully portrayed by Richard Jenkins). 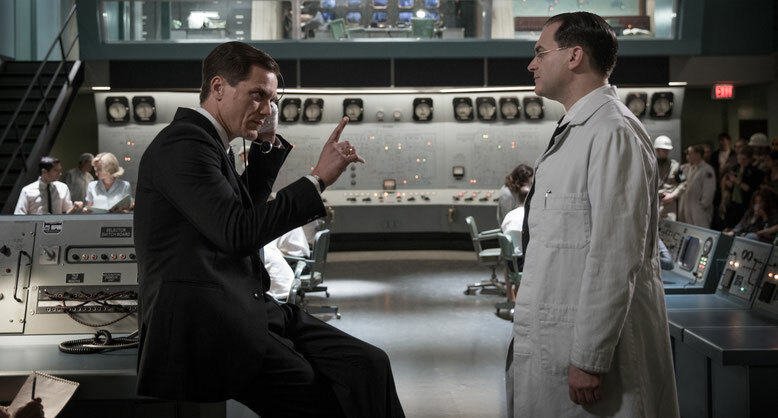 Meanwhile, Michael Shannon grabs our attention (as really only Michael Shannon can) as Strickland, the man in charge of keeping the creature secure. He is intense (as only Michael Shannon can be), repulsive and sinister. He is also prone to acts of brutal violence and intimidation. However, del Toro also gives us a glimpse behind the scenes of Strickland's life to see how this evil man has become so twisted. The fact that we understand his motivations makes him all the more terrifying. Del Toro narrates The Shape Of Water via his colour choices, music (a fabulous score from Alexandre Desplat) and set design. His storytelling is wonderfully layered and peppered with visual cues. Indeed, each scene of The Shape Of Water is beautifully crafted - bringing his work on Crimson Peak and (my favourite) Pan’s Labyrinth to mind. Shades of green are everywhere - from Elisa’s outfits to the luminous pie she eats with Giles, from the sweets that Strickland consumes to the water that the creature inhabits. Indeed, we become so used to the colour green that any other colour holds an almost mythical power - alerting us to a significant shift in the story. All of these elements - the impressive cast, Dan Laustsen’s superb cinematography, the stunning visuals, music and design - combine to tell a brilliantly entertaining and truly magical story. During a screen talk at the BFI London Film Festival, Guillermo del Toro revealed that for most of his career he has been trying to solve what love is. He believes that with The Shape Of Water he has achieved his aim and I wholeheartedly agree. Have you seen The Shape Of Water? If you have, what did you think of this film? Let me know by leaving me a comment in the box below or get in touch via Facebook or Twitter (@500DaysOfFilm)!